In Colorado, a house bill has been introduced to the State, Veterans, and Military Affairs Committee entitled “A bill for an act concerning the authorization process for the release of destructive rodent pests into a county.” If passed, this bill will make it increasingly difficult to save prairie dogs and the land and wildlife they maintain. The purpose of this bill is to make relocations more difficult than they already are since more people are showing concern and love for this keystone species which is making developers and ranchers nervous. This bill will require the approval of county commissioners and at least two additional entities prior to ANY proposed relocation throughout the state within counties. These restrictions are already required between counties and have effectively limited the conservation of wildlife communities since commissioners rarely approve prairie dog relocations. It is important to understand that adding further restrictions to the preservation of wildlife will push a myriad of species towards extinction, especially during this time when land and living communities are being destroyed at alarming rates as a result of rampant development. This bill is an insult to wildlife in Colorado. 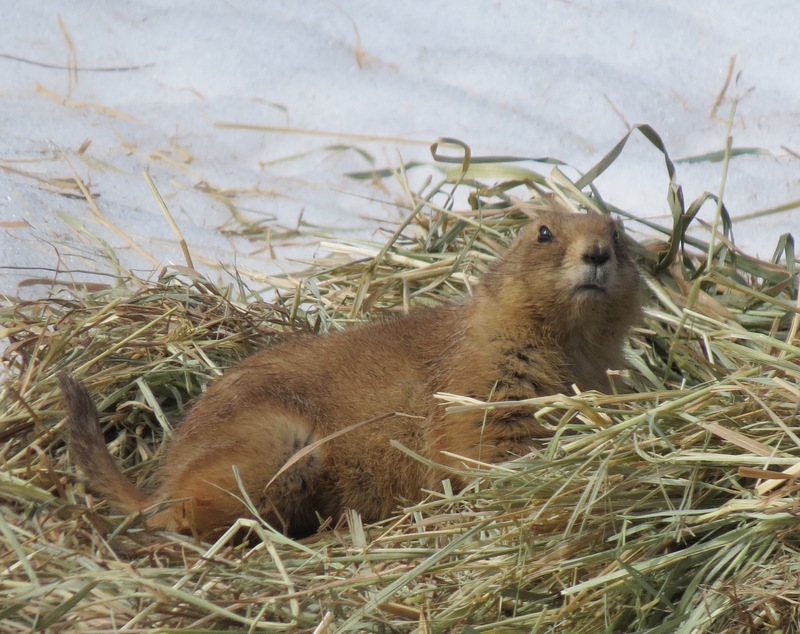 Currently, it is already extremely difficult to relocate prairie dogs and only 18 relocations have occurred throughout the entire state of Colorado since 2012 which saved approximately 2800 prairie dogs. Contrast this number with the hundreds of thousands that have been poisoned within that same time period. Presently, when trying to save these fragmented colonies, advocates have to go through permitting with Colorado Parks and Wildlife, which takes at least 30 days, and they also have to find land to move prairie dogs to which can take up to several years since government agencies very rarely agree to preserve prairies on public lands. Development and ranching are always given priority over wildlife preservation. Join Us on Monday, March 21st, at the Denver Capitol at 1:30pm and Help Us Oppose This Bill! WildLands Defense has been working with a group of third graders at the Downtown Denver Expeditionary School and they have decided to come to this meeting and speak for the prairie dogs! These intuitive students are appalled to hear that our legislators want to extinguish this keystone species from the prairies and are determined to stand up against this bill and voice their opposition. This third grade class has watched our political process at work during the last 2 months as legislators have postponed this hearing two different times. The first time was on February 8th, when they were notified 2 hours prior to the hearing. These students were all dressed up and ready to speak and were very disappointed to find out that all their preparation was thwarted by Kevin Priola, the individual that introduced the bill, because he missed his plane after watching the Superbowl in California. These students are learning a sad lesson that our legislators are more determined to silence their strong voices than listen to their concerns. We believe these postponements are happening to decrease the opposition, but let’s prove them wrong and show up in numbers! WildLands Defense is asking all of our supporters in Colorado to come join these third grade allies and march with them to the capitol on Monday. We will be meeting outside their school building, located at 1860 Lincoln Street around noon, and we will begin the march at 12:30. Please help support these young activists in taking the first strong step to insist that prairie dogs and wildlife are a part of their future. Once we get to this meeting, we hope that many of you will be willing to speak and ask the committee to vote against this bill. We will be given 3 minutes each to voice our concerns. This bill, so far, is going to be heard after another bill regarding oil and gas, so plan on spending the afternoon with us. We need to show up by 1:30 in case they switch the order. This session will start at 1:30, Monday March 21st, at the capitol, 200 E. Colfax Avenue, in the legislative building. Your voice can help us stop the destruction of this keystone species on the prairies. Thank you for your ongoing support of WildLands and Wildlife. What follows is an essay from a Deep Green Resistance member. Perhaps this Open Letter serves as an epitaph for the Castle Rock Prairie Dog community, as well as a call to act. We welcome all those who would stand up in defense of the living. I wore this shirt, long-sleeved, multi-patterned, funky, well tailored hand-me-down for almost every day I worked on the prairie dog relocation at the “Promenade” site in Castle Rock Colorado. The “Promenade” site was only that in the avaricious life-sucking minds of the capitalist pig developers. The “site” was really a scrap of prairie community, a last survivor already lacerated by monstrous earth movers, surrounded by apartments, highway, box stores, a mall, parking lots —– anti life. The shirt faded faded under the intensity of the high-altitude sun. The shirt was embroidered with the words, “Knowledge Wisdom Truth” on the button facing. My camp hat was also a constant part of my attire for those five arduous weeks. A grubby white canvas cloth wide brim decorated in black permanent marker with free-hand representations of dragonflies and guitars. The art was gifted on a happy Folks Festival afternoon by a daughter long sense grown. Perhaps it was this shirt, and my camp hat – that made the sight of this human so familiar that – on the last day of my participation in the relocation, a sweet bird trusted my presence enough to land on my hat while it was on my head. I will never forget the sensation. I think it is the greatest compliment I have ever or will ever receive. It will eternally break my heart for I have yet to live up to that trust. Every step I took upon this scarred, tragically doomed prairie home, now extinct, was a step into the sacred. There are no words to describe her smell, her touch, her sounds, the beat of her heart, the soils the stones, the animals, the birds the bones, the plants in and out of flower. Paradise opened every day just by looking down up around. I am crying as I write this. 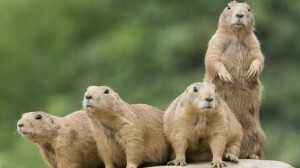 We saved most of the Castle Rock Prairie Dogs that survived the holocaust, the fumigation. Some would not leave. No matter how we tried to trap them, to flush them out, they would not be captured. They died on the land of their ancestors when the earth-movers came and obliterated billions of living beings and their infinity of wondrously woven relationships, spun through timeless time and loving trust. All dead. In the void created the psychopaths are constructing a mall, more and more insatiable life sucking monstrosities following atrocities. 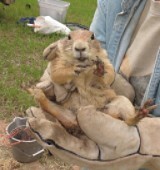 The prairie dogs we relocated are no longer prairie dogs. They inhabit a mountain meadow, in peace. Perhaps they are becoming meadow dogs, weaving new relationships in a new land. They are refugees of the War on Earth. I was paid for the work that I did and the source of that money was the developer. It was a band of beautiful women who did the relocation work, who sacrificed so much, loved completely and are wounded deeply. Some of us could not stop gathering. I was one who compulsively collected stones and bones and feathers, wood and, in the beginning, flowers and herbs to press and burn. They seemed to be calling to me. I was trying to find the answer to a mystery. Surely somewhere, in such abundance there must be the key to continuing her existence? Surely the beauty and story of any bit of this land could awaken even the most callous heart and save the community? I know better; psychopaths have no heart. For the most part, humans are already deluded and dead, slaves to machines, servants to destruction. Who are you? How dare you! Now all I have is a pile of stones and bones, feathers and wood, flowers dried flat and a certainty that this love, this immersion in Prairie gave me. I can wake up and be a whole human. I am now in exile from Life in Alabama. On the way I stopped to pray at the Witchaphi Wall. I left a blood red stone from that Prairie Home in that sacred place. I offered prayer for the salvation of Prairie Life and a prayer for human redemption in service of Earth. The song, “A Feather’s Not a Bird” came to Rosanne Cash as she sat with the Witchaphi Wall. “There’s never any highway when you’re looking for the past. I am in exile, from communities of Life, but not for long. We are rapidly approaching no return, there will be no communities of Life to return to. We will go extinct with them. There is no point in running away. There is nowhere to run to that has not been marked for destruction. But defend the land, and let the river run though me. Deep Green Resistance fights for life and justice wherever we find they are threatened. Right now, Buddhist school Naropa University is planning to exterminate a colony. Naropa University has filed a lethal application with the City of Boulder that will allow them to exterminate families of approximately 200 prairie dogs on the Nalandia campus. We insist that Naropa University staff explore other options and withdraw the kill permit filed with the City of Boulder. WildLands Defense is willing to work with Naropa University to secure a release site for the prairie dogs currently thriving on their campus. We understand that Naropa has tried to find suitable land to relocate the prairie dogs for several years now. However, we will not accept that they filed for a permit to annihilate this beautiful colony. 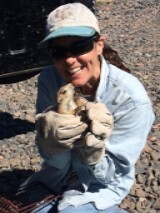 We believe that we can work in partnership with Naropa University to safely and viably relocate these prairie dogs onto Boulder County or City Open Space public land. Please sign this petition and insist that Naropa withdraw their kill permit so these beautiful prairie dog families can play, jump yip, kiss, love, stretch and continue their amazing existence in Boulder Colorado. A Buddhist University should never contemplate the annihilation of a beautiful keystone species. We are asking Naropa University to work with prairie dog activists and find a solution other than annihilation. Pleas sign this petition, and get involved as you can to help us save the prairie dogs, and all wildlife. In yet another example of the insatiable thirst for death of industrial civilization, a prairie dog colony near Denver was exterminated last month. As this article in The Denver Post details, human settlements “are safer now that a prairie dog colony located near the Englewood Dam has been exterminated”. Deep Green Resistance weeps for the prairie dogs, who for generations dared to live where humans would later construct a flood-control berm, to be operated by businesspeople. We weep for the planet as well, which is doomed unless industrial civilization is dismantled. CENTENNIAL —Flood-control officials say Centennial and other downstream communities are safer now that a prairie dog colony located near the Englewood Dam has been exterminated. 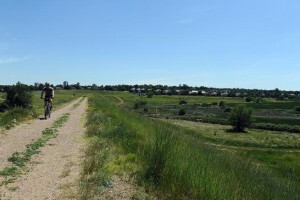 The dam, located on the northern end of the Willow Spring Open Space, is a grassy berm first constructed as a flood-control device in the mid-1930s. It is owned and maintained by the Urban Drainage and Flood Control District. The dam helps protect a 9.5-square-mile section of Willow Creek and Little Dry Creek watershed, explained Urban Drainage project manager Rich Borchardt. The dam underwent a state inspection on May 29. 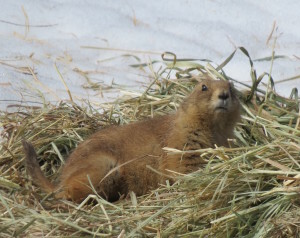 Officials identified issues that could compromise its effectiveness during high-flow events, Borchardt said, including numerous prairie dog burrows on the north side. There were also ant hills; woody vegetation with old, decaying roots; and informal trails that have worn away grasses and formed potential channels for water. Englewood Dam is designated a “high hazard” structure because it protects downstream areas including Centennial, Cherry Hills Village, Englewood and unincorporated Arapahoe County, Borchardt said. Its importance necessitated eliminating the prairie dogs as well as removal of some plants, like yucca, and — in the near future — revegetation work that will sow native grasses on some unapproved paths. John Williams, who lives about a mile from the site, said he saw water on the south side of the dam rise high enough to cover all of the plants there following heavy rains last month, and he understands the efforts to maintain the dam. “I had seen the prairie dogs over there, and I didn’t realize the danger,” Williams said. Borchardt said water levels rose 14 feet at the dam between June 12 and 15, further demonstrating the need for this “tune up” maintenance. He said Urban Drainage annually removes debris and sediment from the south side of the dam, a marshy area designed to collect and safely release nearly 652 million gallons of water. He said the district tried to poison the local prairie dog population last year, but after the state engineer’s visit, the decision was made to fully eliminate the rodents. He said that if the issues were ignored the state could order that the dam be redesigned to hold less water or be completely replaced, work that would cost vastly more money than the $75,000 the taxpayer-funded district is investing there this year. “It’s something that we don’t like to do, but we realize the risk of not doing it is a whole lot worse,” Borchardt said, adding the district was unable to find a place to relocate the colony last summer. Ronnie Purcella, owner of An Animal and Pest Control Specialist, said his crews dropped pellets for an Environmental Protection Agency-approved fumigant into 250 prairie dog holes and covered them over on June 29. A sign alerting visitors about the work was posted along the Willow Creek Trail, which runs along the north side of the dam. Still, the extermination shocked some neighbors. The open space area is maintained by the South Suburban Parks and Recreation District. 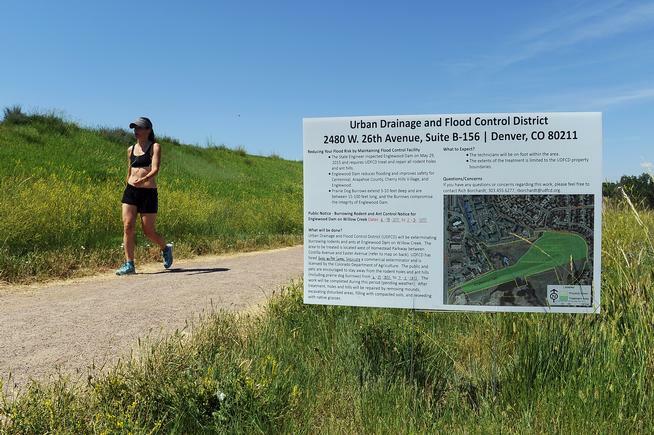 While South Suburban hosted a community outreach meeting about the work, it plays no role in the maintenance at the dam, said David Brueggeman, the district’s acting director of parks and open space. Borchardt said Urban Drainage will work to get rid of a few of the unofficial “habit trails” that run vertically and diagonally across the dam on both sides throughout 2015 and into 2016. The goal is to have less grass-free spaces for water to run down. He said Urban Drainage will invest another $75,000 in preventive maintenance in 2016.